Boost! Help The League of S.T.E.A.M. make their third season come alive! Looking for some steampunk monster-hunting? The League of S.T.E.A.M. needs YOU! Signal-boosting friends-of-the-blog The League of S.T.E.A.M. for their Kickstarter to fund Season Three of their award-winning webseries. 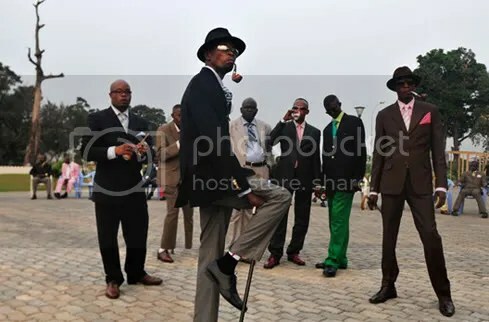 Modern day dandies–Gentlemen of Bakongo, Brazzaville. Image courtesy of Daniele Tamagni. Click for link. A dandy is a man who places extreme importance on physical appearance and refined language. It is very possible that dandies have existed for as long as time itself. According to Charles Baudelaire, 19th century French poet and dandy himself, a dandy can also be described as someone who elevates aesthetics to a religion. In the late 18th and early 19th century Britain, being a dandy was not only about looking good but also about men from the middle class being self-made and striving to emulate an aristocratic lifestyle. The Scarlet Pimpernel is one of literature’s greatest dandies; famous historical dandies include Oscar Wilde and Lord Byron. These days the practice of dandyism also includes a nostalgic longing for ideals such as that of the perfect gentleman. The dandy almost always required an audience and was admired for his style and impeccable manners by the general public. The special relationship between black men and dandyism arose with slavery in Europe particularly during England’s Enlightenment period. In early 18th century, masters who wanted their slaves to reflect their social stature imposed dandified costumes on black servants, effectively turning them into ‘luxury slaves’. As black slaves gained more liberty, they took control of the image by customising their dandy uniforms and thereby creating a unique style. They transformed from black men in dandy clothing to dandies who were black. Note: A little late for cross-posting, but here it is! Rebellious children pick pockets and plant pamphlets in dystopian London. A train robbery occurs in a dimension beyond time. An Australian frontier woman plots against her husband with the robot maid. Two-timing agents confront each other in a food court mall. Oh, and a maniacal Mecha-Ostrich is running loose somewhere in New Jersey. All this and more are found in Ann and Jeff VanderMeer’s Steampunk II: Steampunk Reloaded anthology from Tachyon Publications. Read on Tor.com: Clockwork Machinations ahead! #46 Celebrating Our First Birthday! One short year ago, Beyond Victoriana made its first blog post on a wee Dreamwidth journal. How about this one? Image courtesy of Venus Cakes. Click for link. Over the past year, we tackled a variety of topics, spanning art, theater, music, fashion, history, literature, science & technology. 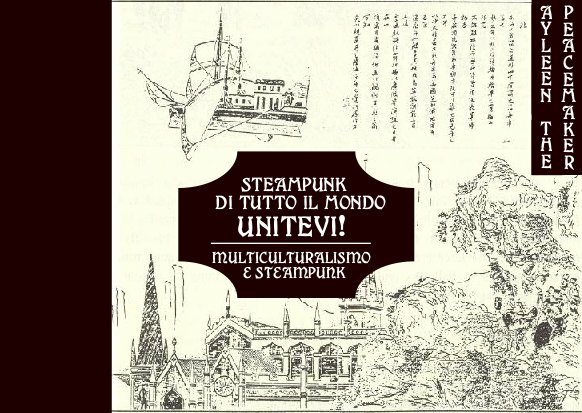 Steampunks from around the world have also popped up on this site: Bruno Accioly on Brazilian Steampunk; Jha Goh, our Malaysian “postcolonialist steampunk” and friend of the blog; Michael RedTurtle for an American Native perspective, and the UK band Sunday Driver stopped by for a chat. On the science & tech front, we covered technology from the East, in the Muslim World, and for First Nations. The arts have also been spotlighted here, with works from historical artists (like Charles Frederick Goldie) to modern artists (like Yinka Shonibare MBE, Lalla Essaydi, Willie Bester, and Mary Sibande). Webcomics like The Seven and Virtuoso have been featured. For literature, the books that take steampunk to new locations and realms of thought were highlighted, such as Boilerplate, Magic Under Glass, Black Hills, The Shock of the Old, Little Bighorn and Isandlwana: Kindred Fights, Kindred Follies. Award-winning authors Karin Lowachee and Nnedi Okorafor were interviewed. And as steampunk music is still being established, we’ve talked with several artists who each bring their own unique style to the table: from Sunday Driver to Coyote Run to Emperor Norton’s Stationery Marching Band. Multicultural and obscure histories have also been covered, from the record of Asians in the Americas, to Noah Meernaum’s survey on representation in Weird West, Kevin Mullins’ work on Fernian bombers, Evangeline Holland’s posts on race and women, and Matt Delman’s historical epic of the Great Game. 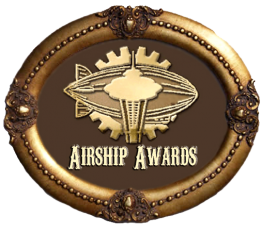 And of course, there have been several articles and linkspams which featured new ideas, writers, thinkers, creators, movers and shakers in the growing steampunk community. Overall, not bad for the first year. What can we expect in the coming one? More diverse interviews, analysis, pictures, and articles of course! 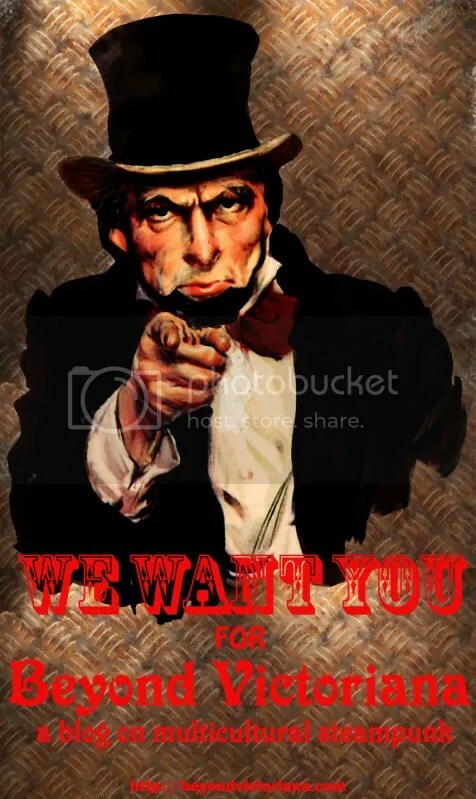 That’s right– take a word from Uncle Sam Abe Lincoln and consider what you can contribute to make this blog the best thing ever. Are you a writer, performer, artist, cosplayer, academic, tinkerer? Do you have an opinion, a story, a book review or outfit you want to talk about? Do you go to conventions and like taking pictures or writing about them? Then consider hosting your work here! Beyond Victoriana has had an amazingly successful year because of the wide range of voices present on this site. And we want yours too. We are looking for guest posters, regular contributors, and potential interviews. In particular, we are also looking for reporters to cover the array of upcoming conventions & events. Immediate help is needed for TeslaCon & SteamCon II coverage, but we are also interested in covering future cons throughout 2011. People from all backgrounds are open for consideration. Previous journalism or blogging experience a plus. If you’re interested, please drop an email to attic [dot] hermit [at] gmail [dot] com. And of course, a big THANK YOU goes out to everyone in the community who have stopped by, e-mailed, blogged, linked, or talked up Beyond Victoriana in the last twelve months. We’re one year–and 21,000+ hits– in and more ready than ever for Year Two.